So I got my sauce issue figured out and made this pie last night with what I had around my fridge. 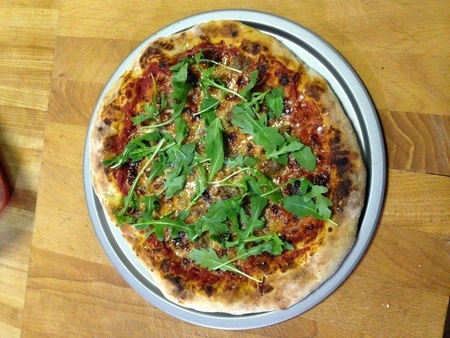 I used some smoked provolone and some deli Italian sausage as well as some garlic oil, some Pecorino, and Arugula. Looks amazing. Beautiful crumb structure. What kind of flour? 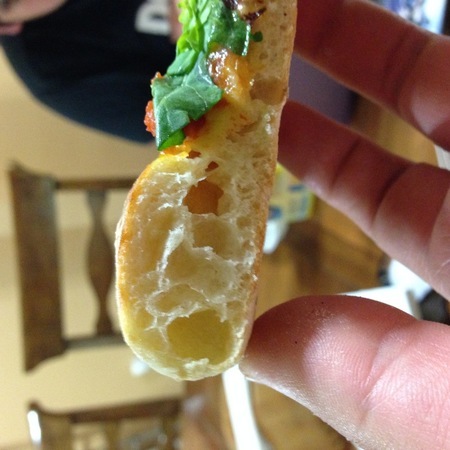 For the dough, I used Tony's classic Italian dough recipe which I got from the International School of Pizza. The sauce was the NY Style sauce from the Pizza Bible. I used King Arthur Sir Lancelot. Gonna order and try Tony's Flour next.